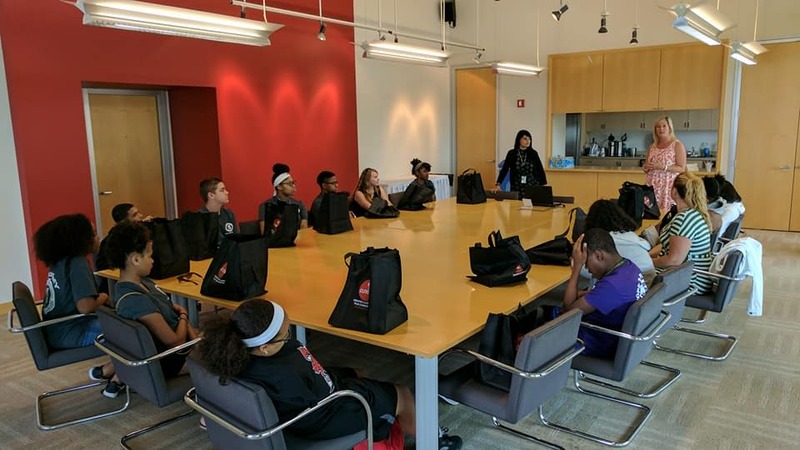 Last month we had the privilege of hosting rising sophomores in the Boys Hope Girls Hope program for a presentation on what GCFC does, and of what all our individual jobs consist. It was a lot of fun talking about our different journeys to get where we are today, and help illuminate the path that lies ahead of these kids. We really hope we’re able to do it again next year! Our Production Assistant (PA) Workshop did not go as planned. Our special guest Mikki Ziska had her flight cancelled not once, but twice, and we feared that we would have to ultimately cancel the event. 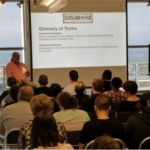 However, GCFC President Ivan Schwarz stepped in at the last minute to deliver the workshop for 80 people who wanted to learn more about taking their first steps into the media production industry! When all was said and done, it was a good day for everyone involved, and an even better one for our local industry. Based on her moving one-woman play about finding your voice and championing your identity, “Exact Change” is the powerful and personal story of noted Cleveland actor, journalist and critic Christine Howey, who transitioned in 1990. 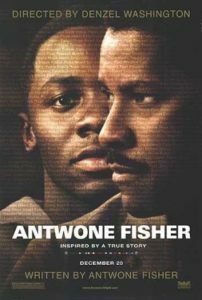 This film adaptation was both as powerful and as poignant as the play, and it premiered to two sold out theaters at the historic Capitol Theatre in June. 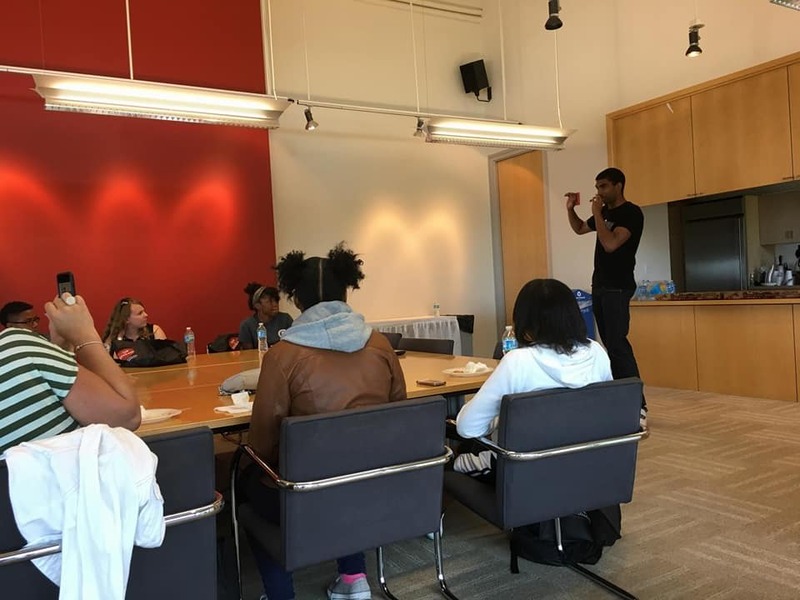 “Underexposed” brings visibility to Black youth culture in Cleveland in the wake of Black Lives Matter. The film chronicles the lives of ten teen artists as they find solace in art, making and performing as members of Shooting Without Bullets, Cleveland’s revolutionary youth advocacy program. This coming of age story illuminates the beautiful struggle in their discovery of self in the midst of extreme economic depression and stark racial segregation. To see these young people expressing themselves through their talent and their art was an amazing experience. Multimedia artist, writer, poet and Cleveland native Chris Webb’s current project animates blighted homes in Cleveland’s abandoned neighborhoods and uses them as narrators to speak on neighborhood problems and city history. Having gone to school on the west coast and returned to his hometown, Chris’ talents as an artist, storyteller and agent for change are all on display in this film that highlights a pressing issue in our city. Grant Heineman, a rising senior at Heights High, was given a project by his American Government teacher: create a 20 minute documentary that is unique and relevant to what they’re learning in class. With the 2016 election fresh in everyone’s mind, and having become an issue that had penetrated the “high school bubble,” Grant got to work and put together a stylish and certainly unique look at the election through the eyes of his fellow students. The result is nothing short of A+ work. 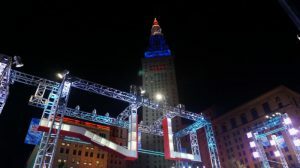 Congratulations to the film formerly known as “Untitled Detroit City Project,” which wrapped its Cleveland shoot last week. Thank you to all the local cast and crew that worked so hard on this film, and continue to set an example for what production professionals should be. Also, thanks to every business and location that worked with the production for ensuring such a smooth process. 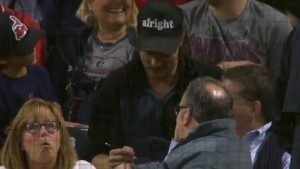 Clevelanders will have to wait a little while to see the fruits of all of this hard work, however, as “White Boy Rick” is currently slated for a January 2018 release. Thank you, Cleveland! 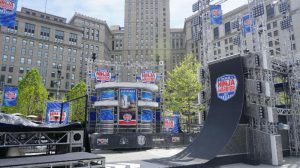 The Greater Cleveland Film Commission brought you “American Ninja Warrior”, and you turned out in droves to support the taping in Public Square and experience the NBC FanFest! 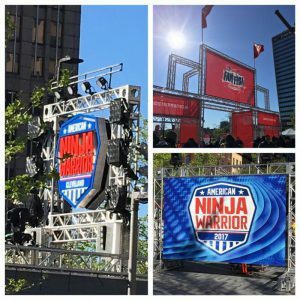 For several days, Public Square turned into Ninja Central as the most intense obstacle course yet was constructed on the Superior Avenue portion of the square. 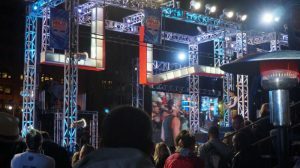 The tapings were filled with hundreds of excited fans, who screamed their hearts out supporting these daring men and women who took on the insane physical challenge. 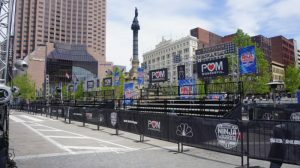 Most importantly, the city of Cleveland looked beautiful. 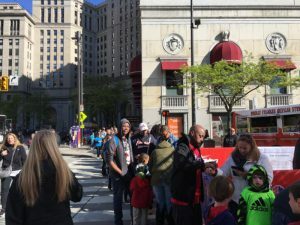 Whether it was the perfectly lit Terminal Tower, or the Goodyear Blimp shots of our new Public Square, every shot made our city look as special as we know it to be. 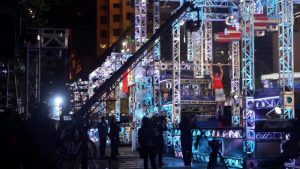 We’re proud to have been a part of bringing this fun experience and spotlight to Cleveland! 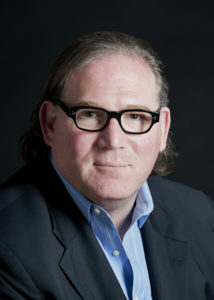 The Greater Cleveland Film Commission (GCFC) congratulates Frederic Lahey on his selection as the inaugural Director of the Cleveland State University (CSU) School of Film, Television and Interactive Media. The process to choose the Director was long and thorough, involving officials from CSU as well as GCFC President Ivan Schwarz. 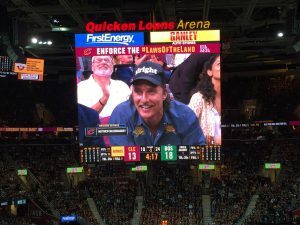 We look back at movies that #FilmedInCLE and what some of the people involved are doing now. 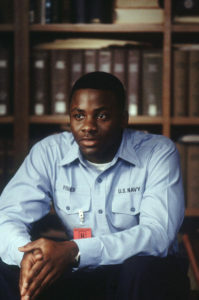 A Cleveland native, Fisher’s screenplay, based on his memoir “Finding Fish,” tells the story of Fisher as a young man in the Navy and his struggle to master his temperamental nature, address past abuse as a foster child, and find his true family. 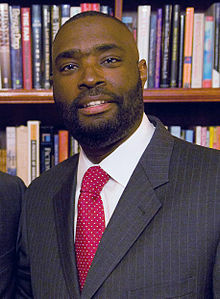 He continues to write, produce and direct, and in 2003 was awarded an honorary Doctorate in Humane Letters from Cleveland State University. Washington’s directorial debut was met with critical acclaim. 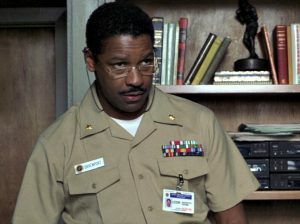 The late Roger Ebert said of it: “A film that begins with the everyday lives of naval personnel in San Diego and ends with scenes so true and heartbreaking that tears welled up in my eyes both times I saw the film.” His most recently directed work, “Fences,” was nominated for four Oscars, including Best Picture, Best Adapted Screenplay, Best Supporting Actor for Denzel himself, and an Oscar win for Viola Davis for Best Supporting Actress. Crain’s Cleveland Business recently published their new list of “Who’s Who in Northeast Ohio 2017,” which includes none other than our own GCFC President Ivan Schwarz! Also included in the list are GCFC Board Members David Gilbert (Destination Cleveland, Greater Cleveland Sports Commission) and Marcie Goodman (Cleveland International Film Festival), as well as Cleveland State University President Ronald Berkman, with whom Ivan has been collaborating this year to build and staff the new School of Film, Television, and Interactive Media set to open this fall. Check out the entire list here! 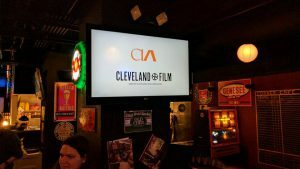 On Tuesday, April 25th, in concert with Cleveland Institute of Art’s annual Spring Show, GCFC co-hosted a mixer for animation and interactive media students, faculty, visiting guests from the industry, as well as many local professionals who work in animation and game development. It was a great turnout, and it was really special seeing students and local professionals networking and exchanging ideas as we continue to build Northeast Ohio’s media industry in every way possible. You can look at some additional pictures from the event HERE. 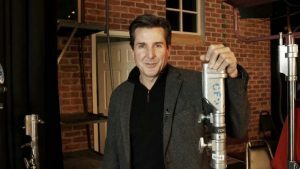 Check out this great piece on two graduates of Tri-C’s Film Crew Training Workshop, Brian Bowles and Stephanie Chrin, who earned their certificates early this year! 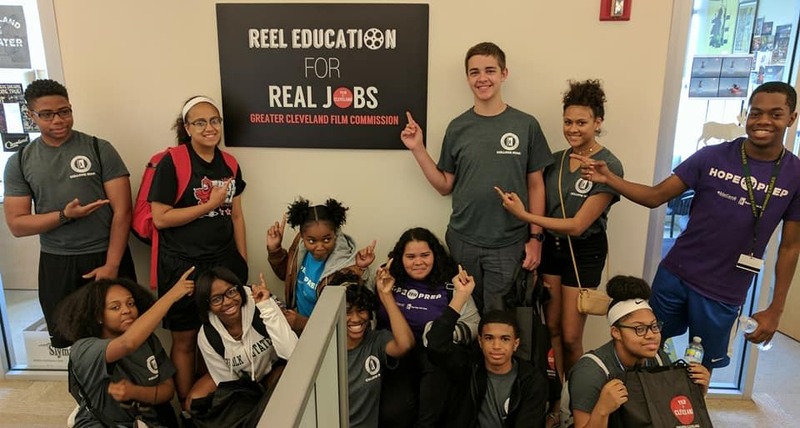 We’re proud to be partners with Tri-C, and to have helped them develop the curriculum for these programs, intended to give students the insight and skill necessary to step onto a film set and contribute right away. Our Production Assistant Workshop will aim to do just that, and if you’re unable to attend, Tri-C will hold another workshop in January 2018.